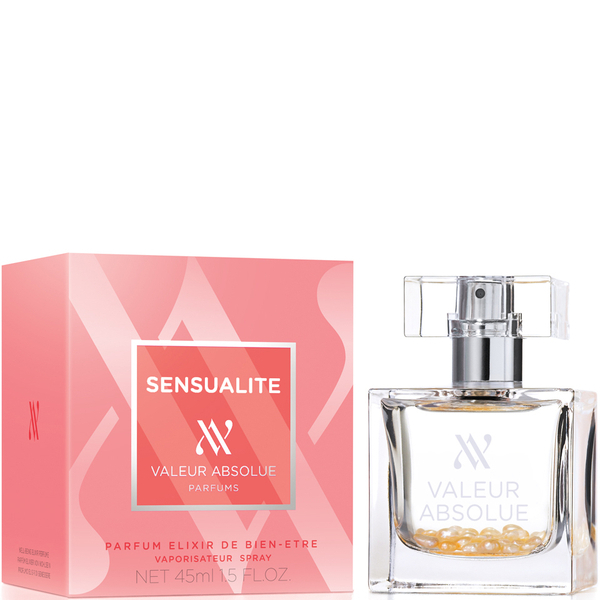 Discover the Valeur Absolue Sensualité Eau de Parfum; a romantic, floral fragrance infused with jasmine and Rose de Mai essential oils to promote well-being and release a cloud of mysterious harmony. Notes of soft amber and warming musk are enhanced by cedarwood and voluptuous white flowers, whilst minerals of calcium and potassium are combined with a natural extract of the immortelle flower to stimulate the release of beta-endorphins, leaving you feeling content and comforted. Presented in an elegant bottle handmade in the South of France, semi-precious Mother-of-Pearl is placed at the base to enhance richness, represent femininity and create a scent of pure tranquillity. Not tested on animals. Free from phthalates.